Nanaimo is home to the Artificial Reefs, Saskatchewan, Cape Breton and Rivtow Lion. Diving is varied including wreck diving, wall diving and shallow reefs. Snake Island, which is also a popular dive destination, is close by. There, you can view Cloud Sponge and Plumose Anemone along a wall that offers everything for beginners and experienced divers alike. An all time favourite is the chance to dive or snorkel with the seals as they come up to greet you by nibbling on your fins. 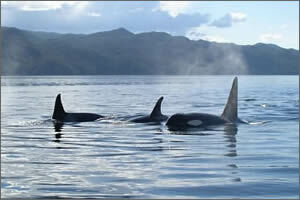 If you're lucky, you may see a pod of transient killer whales that sometimes pass by on their way further north. The Mamro employs a large diving skiff with plenty of room for up to10 divers. Gear is set up on the skiff for the duration of the dive holiday. Divers suite-up on board the Mamro where it is warm and comfortable, then transfer to the skiff putting on the rest of their gear during the short ride to the dive site. A wide-rung ladder ensures that you are able to return to the deck of the skiff with as little effort as possible. Your tanks are refilled on the skiff leaving your gear set-up undisturbed. 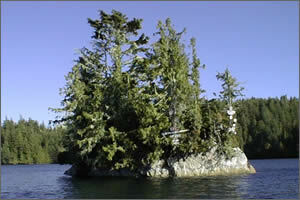 There are over 200 islands in the Gulf situated between southern Vancouver Island and the mainland. The Gulf Islands offer a unique blend of civilization and solitude. 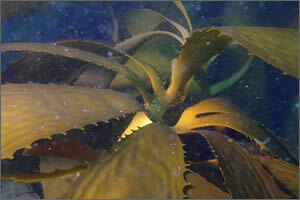 Diving is varied and includes wall diving in Porlier Pass, Gabriola Pass or Dodd Narrows. Great photo opportunities are presented as we cruise by colonies of sea lions or Eagle Wall while returning to the Mamro on the dive skiff. The rustic beauty of these islands seems to make time stand still. The Gulf Islands are a great change for those of you who want to come to Nanaimo, but would like a break from diving the wrecks. While cruising back to the Mamro on the skiff, you are also likely to see some of the ancient petroglyphs that decorate the walls of the islands in this area. Bald Eagles are plentiful and the photographic opportunities are breath taking. An added bonus to the spectacular diving in the Gulf Islands, is the beauty of the scenery above the water. Photographer or not, we know you’ll enjoy the natural wonderof this area. The northeast coast of Vancouver Island is an area of rugged beauty, crooked forests, and clusters of islands. Each trip offers the possibility of seeing a pod of killer whales with the sun glistening off their dorsal fins as they surface beside the boat. 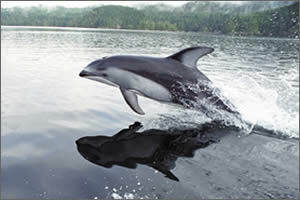 In the late summer, schools of Pacific white sided dolphins return to this area to frolic and ride the bow of our boat. Without a care in the world, these friendly mammals create an exhilarating photo opportunity. The diving is unbelievable, with the many current-swept passage walls that are magnificent gardens of life, flourishing in these nutrient rich waters on the pinnacles jutting up from the depths. Wolf Eel eagerly greet you at the bottom of the anchor chain. The valley of gorgonian coral, and of course the Octopus, Puget Sound King Crab and Hooded Nudibranchs all await your discovery. It is a well known destination dive for many international divers. After a full day of diving, some hit the bunk, others, watch a movie or play cards or, as the fog gently rolls in on the horizon, head for shore to have an old-fashioned campfire! After a 40 minute ferry ride from Horseshoe Bay in Vancouver, drive South along the coast to meet up with the Mamro at Pender Harbour, The Mamro cruises the protected waters of Agamemnon Channel, Jervis and Sechelt Inlets. 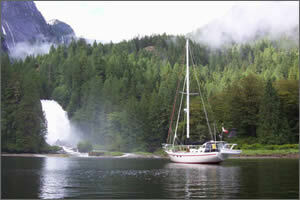 The Sunshine Coast greets us with the breathtaking beauty of magnificent waterfalls and sheer mountains. 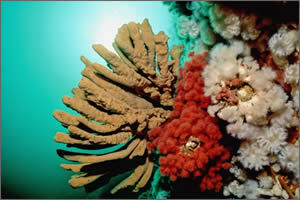 You will dive walls covered with Gorgonian Corals, Cloud Sponges and Chimney Sponges. Sechelt Inlet is the home of the artificial reef HMCS Chaudiere, one of the earliest efforts by the Artificial Reef Society. The ARF create environmentally- and economically-sustainable "artificial reefs" in British Columbia and around the world for the enjoyment of Scuba Divers and the protection of environmentally- and historically-sensitive marine habitats. No Sunshine Coast trip is complete without a visit to the 9-ft bronze Mermaid that is located at Saltery Bay. After an exiting day of diving, you can relax in the comfort of Mamro's galley where you'll enjoy a delicious meal prepared by your hosts. Life cannot get better than a dive weekend on the Mamro. For this tour, we board at Deep Bay near Qualicum Beach on the East side of Vancouver Island. Our goal is to hunt for the elusive six gill sharks near Hornby Island. This area is also known for it's inexhaustible variety of marine wild life. You will have a chance to see Pacific Octopus, Wolf Eels as well as many varieties of anenomes and nudibranchs all from the comfort and convenience of the Mamro. Nothing can beat returning to the "mother ship" in the dive skiff for hot chocolate and carrot cake (and maybe a nap)! Diving in and around the protected shores of Hornby Island offers wall dives, drift dives, deep dives and the unique sandstone reefs close to the shore of the island. In the winter, you can dive with Stellar and California Sea Lions meeting to feed on migrating herring. Getting up close and personal with these huge marine mammals is a thrill. Depending on the trip length and itinerary, time may be spent diving the deep walls of Texada and Lasqueti Islands and, further north, the wrecks of the Capilano and Gulf Stream. Explore the Central Coast of BC in the comfort and freedom of the live-a-board, MV Mamro, your home away from home. Dive the wreck of the 330 foot steamship, Ohio - dating back to 1909 - at Carter Bay or take on the challenge of diving the Transpac which is a great wreck, 110 feet at the bow. The marine life above the wreck is interesting, and the topography offers an appealing alternative to the wreck dive if you don't like the depth. 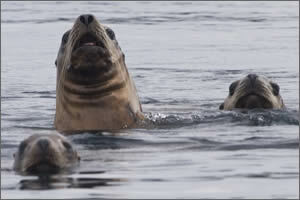 Cruising up the Inside Passage offers great opportunities for the photographers in the group. 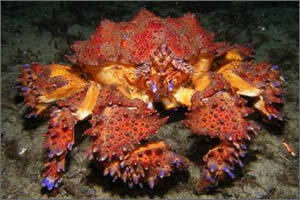 Underwater you will see Octopus, Wollf Eels, Rockfish and much more. Bring your camera, you won't be disappointed. Weather is always the determining factor but we often have the opportunity to search for Kermode (Spirit) Bears and relax in the hot springs at Tallheo or Eucott Bay. Bubble, bubble, roil and trouble fittingly describes the raging torrent of seawater that surges daily through British Columbia's Nakwakto Rapids. Watching the maximum tidal exchange in Nakwakto's diminutive 300-metre-wide channel is like witnessing a liquid maelstrom. Standing defiantly in the middle of the channel is a tiny, steep-sided island named Turret Rock. Local legend has it that this islet actually vibrates in the fast-flowing currents, giving rise to its more common nickname - Tremble Island. More likely, this ominous moniker refers to the involuntary shivers that run up and down scuba divers' spines when preparing to make a descent there. Read more about it here . . .